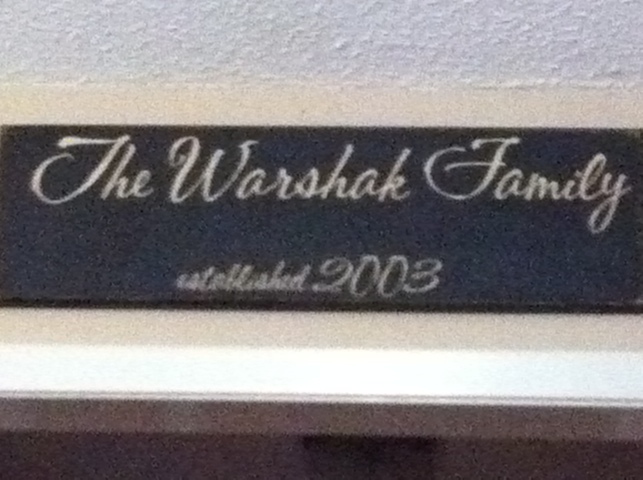 Los Warshaks – ian, denisse, emma, jack, luke. This is a test.. Test! so much has happened… i don’t even know where to start. emma turned 4, jack turned 1, i have been sewing, the kids are growing like weeds, emma got health insurance (yeah! ), lots of fun holidays like valentine’s day and easter… more fun than i deserve. my family is wonderful. i love my husband and my children dearly. we are looking forward to a fun summer with lots of swimming, lots of trips, and lots of fun! i love the idea of my blog being a journal for our family, so i will make every effort to post more… once a week perhaps? ian says that your chances of following through with something decrease once you announce that you are making an effort… we’ll see how this goes. Author denissewarshakPosted on May 18, 2010 Categories the momLeave a comment on where to start…? lets get back together! i’ve missed you! Author denissewarshakPosted on May 18, 2010 Categories the momLeave a comment on i’m back.